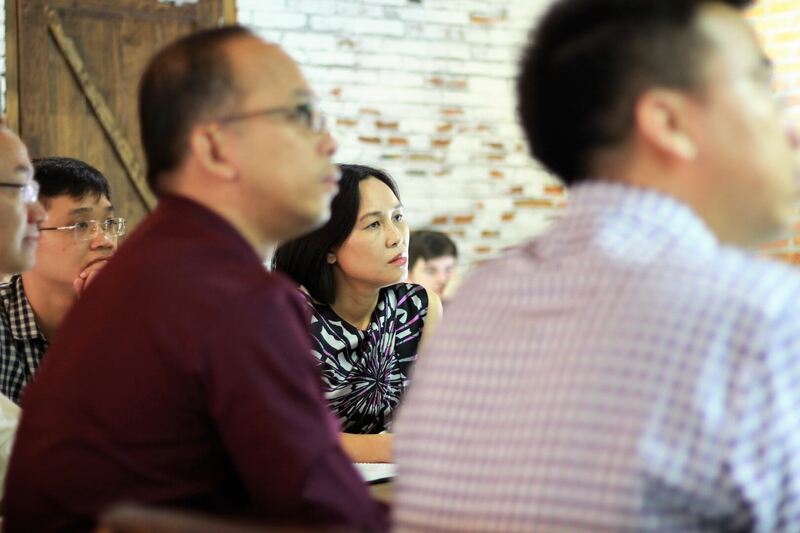 TRG Talk – Cloud is a joint effort of TRG International, Amazon Website Services, AmCham Vietnam and BBGV. 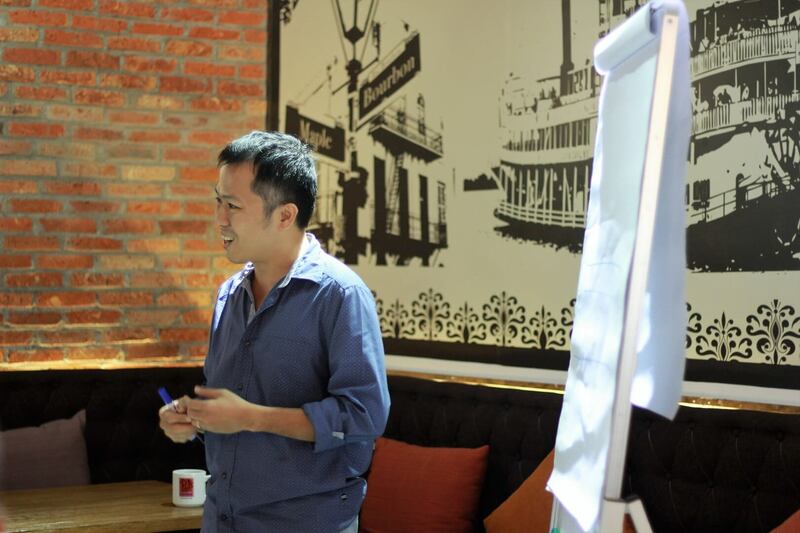 Especially, this event welcomed two reputable speakers: Mr. Nguyen Trung Thanh (Customer Support Director - TRG International) and Mr. Hoang Nguyen (Solutions Architect - Amazon Website Services Vietnam). The two speakers have provided a lot of interesting information regarding the Cloud enablement - the technology that peaked the interest of many people today. In addition, the discussion part between attendees and two speakers also contributed to the exciting atmosphere of the event. After the short introduction from Mr. Nguyen Trung Thanh, Mr. Hoang Nguyen raised some open questions about the cloud computing technology, attendees started to come up with a lot of questions related to Cloud enablement. Below were the popular issues addressed at the event. How does cloud address the security concern? Will business data be safer when stored in the cloud? The security and confidentiality are the number one concern of every business. With this issue, Hoang Nguyen said that all operating systems on Cloud are monitored and managed closely by a third party to prevent potential threats from the outside. Therefore, all errors in the system are controlled and blocked by this third party. Additionally, frequently updated system and tight controls are key to ensuring that the data in the system are secured. How much does Cloud cost? Cloud computing will help businesses to reduce their initial investment and optimise costs by cutting down installation and maintenance expenses of on-premise data centres. Additionally, one of the great advantages that most businesses enjoy when using Cloud is the eco-friendly feature as there is no physical data centres or storages required. Can Cloud Technology be customised? What is the level of adaptability and stability of customisation? Cloud has long been known for its endless customisation capabilities, especially with the flexible pricing for every business, and also has the ability to adapt and stabilise extremely well. For example, businesses can increase the number of site visitors from 2,000 to 10,000 people on for peak season while still ensuring a stable operating system. One added feature proving that Cloud has always maintained consistency in every case is files are centrally stored which makes it easy for businesses to manage and control. Cloud has brought new innovations that help businesses not only save time and money but also contribute to the growth of businesses in Industry 4.0 era. TRG Talk Cloud takes place every month and acts as a knowledge sharing platform for individuals in every position to approach Cloud Technology. At the same time, the seminar also opened up new opportunities for businesses who have been using Cloud Technology to have a better understanding about the advantages, challenges, as well as the endless possibilities, and capabilities of Cloud Technology. You have probably heard about it, not once but multiple times. Whether you are new to cloud computing or you are already an expert, anyone can definitely gain something from our interactive workshop at TRG International. This monthly event will have guest stars who are experts in not only cloud computing but also experts in other IT phenomenon. There will be myth debunking, tips and tricks in building a stronger, better IT infrastructure for your business. TRG Talk – Cloud is held every third Wednesday of the month.